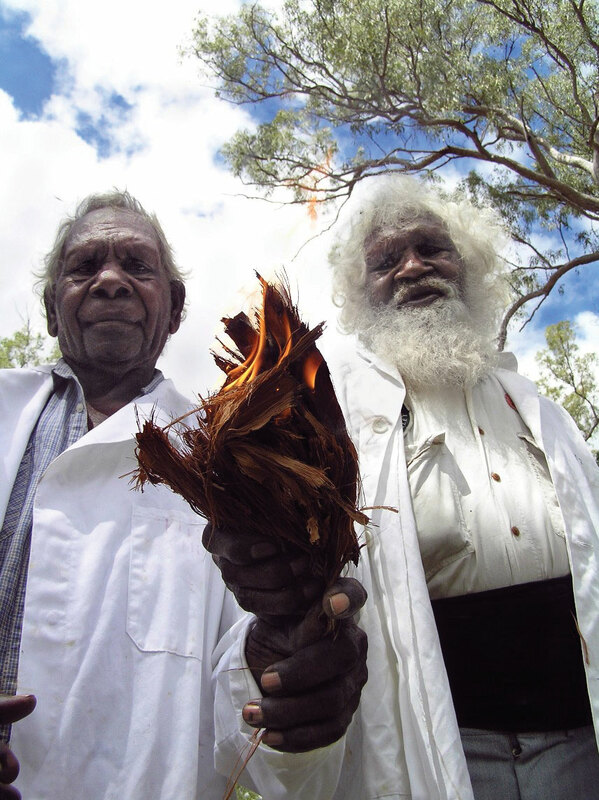 In 2005 Dr Musgrave and Dr George, Kuku Thaypan Elders launched their fire research project and the thesis ‘The Importance of Campfires’. When all the old people die the country too will die.’ (Dr Musgrave 2005). This quote from Dr Musgrave echoes his concern that knowledge of Country and how to care for it would be lost if it was not learnt. Dr George and Dr Musgrave wanted to ensure that this did not occur, so they initiated their fire research project in 2004. The Elders research methodology was their cultural obligation to care for their Country and implement their cultural fire knowledge on Country, to ensure that this was recorded and importantly passed onto their descendants and others willing to learn. In this way they could ensure that Country would be looked after for generations to come. What the Elders taught was how to read Country, and this important lesson continues to be taught today ‘the knowledge is in the landscape. The Elders have not passed. The land is an Elder too.’ Victor Steffensen (2018). The late Kuku Thaypan Elders, Dr George and Dr Musgrave, initiated their research project in response to fires that were too hot, lit at the wrong time, in the wrong place and done the wrong way. In the words of Victor Steffensen, ‘There is only one fire, and that is the right fire, for the right Country.’ (2016). From a mainstream land and fire management perspective, this phrase ‘there is only one fire’ can be misinterpreted as meaning there is only one kind of fire. However, according to Awu Alaya fire knowledge there are different kinds of fire recognised in the knowledge system; each fire is considered in relation to particular qualities and needs of Country and specific conditions. Today the descendants of Dr George and Dr Musgrave are continuing this important work on Kuku-Thaypan Country and working with the Firesticks Alliance across Australia.